Output: 12V Max 3A/3000mA, it means that it can supply with all amperage which smaller than 3A. ---such as 2.5A, 2A, 1.5A, 1A, 600mA, 750mA,800mA ,900mA all is available , For example If your device drawing the current only needs 2A then only 2A will be supplied. However, if you needed more than 3A then you will get 3A also. 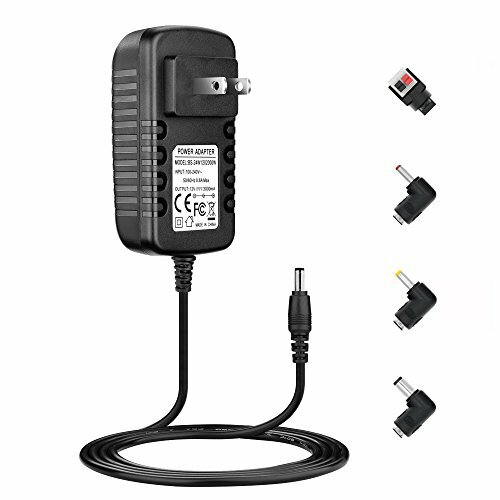 Certified by FCC CE ROHS, We focus on producing high quality power adapters, No noise, low temperature operation, no spontaneous combustion, no explosion, no fire hazard, provide stable output, And to provide you with 1 year after-sales warranty service.